In True of False Pope?, we demonstrate that the Sedevacantists have entirely misinterpreted Bellarmine’s opinion concerning the loss of office for a heretical Pope. As we have noted in recent feature articles, their erroneous interpretation of the famous Fourth and Fifth Opinions is evident by reading what Bellarmine wrote just a few paragraphs earlier (in the Second and Third Opinions). But they would not know this, because these additional paragraphs were never translated and posted online, which is where almost all the Sedevacantists get their information. Their handlers conveniently translated only those portions of Bellarmine which they were able to “interpret” to “support” their position. The portion they have translated consists of Bellarmine’s attempted refutation of Cajetan’s opinion on how a Pope loses his office (Fourth Opinion), and Bellarmine’s own opinion (the Fifth Opinion). By providing these opinions alone, and by not explaining (or not knowing) what Cajetan’s position entailed (and hence what Bellarmine was objecting to), the priests and bishops of the Sedevacantist sect were able to convince unsuspecting souls that Bellarmine’s own opinion supported their Sedevacantist position, when, in reality, it does not. By this deceitful tactic, these Sedevacantist clergy were able to lead countless souls out of the Church and into their heretical sects. The Novus Ordo trained priest, Fr, Paul Leonard Kramer, has embraced this erroneous interpretation of Bellarmine, hook, line and sinker, and has been causing further confusion by spreading it to a new group of Catholics via is Facebook Page. As we will show in this article, John of St. Thomas, who is one of the main commentators on the debate between Cajetan and Bellarmine, directly refutes the Sedevacantists’ false interpretation of Bellarmine, and confirms exactly what we have been saying for years. This is because John of St. Thomas knew Cajetan’s opinion well, and hence also knew what Bellarmine was objecting to. Understanding Cajetan’s opinion (which almost no Sedevacantist does, since his teaching is found nowhere on the Sedevacantist websites) is the key to understanding what Bellarmine meant. Cajetan’s opinion, which was defended by John of St. Thomas, is that a Pope, who has been judged and declared a heretic by the Church, is then deposed by a separate act of the Church. This separate act is a vitandus declaration which commands that the faithful avoid the Pope who has been declared a heretic by the Church. Cajetan bases his teaching on Divine law, which commands that a heretic, after the first and second warning, must be avoided. Therefore, if the Church warns the Pope twice that he is holding a heretical doctrine, and if he does not recant his heresy, the Church can declare him a heretic and then, according to Divine law, legally command the faithful that he must be avoided. Now, because a Pope who must be avoided can no longer function as the head of the Church, this vitandus declaration renders his authority impotent. It is at this point, according to Cajetan (and John of St. Thomas), that God Himself authoritatively deposes the Pope by severing the bond that units the man to the office. The vitandus declaration is a juridical act and a kind of excommunication, but in this case, it does not excommunicate the Pope from the Church, but “excommunicates,” if you will, the Church from the Pope. That is, it legally separates the Church from the Pope; not the Pope from the Church. The separation of the Pope from the Church is an effect of the legal separation of the Church from the Pope. And such a legal separation is licit, since, as we have noted, Divine law itself commands that a heretic by avoided after two warnings. That is the opinion of Cajetan, which no Sedevacantist has ever properly explained. Bellarmine and Suarez (two Jesuits) disagree with the opinion of Cajetan and John of St. Thomas (the Dominicans). As we explain in great detail in our book, Bellarmine and Suarez teach that the Pope will lose his office, ipso facto, once he is judged by the Church to be a heretic, without the additional juridical act of vitandus declaration. Notice, the ipso facto loss of office follows the Church’s judgment and the Church’s declaratory sentence of the crime. This differs from Cajetan’s opinion since, as we noted above, Cajetan required one additional step – the vitandus declaration. Only after that juridical “excommunication” would Christ act by deposing the Pope. According to Cajetan, it would not occur “ipso facto and immediately" after the crime was established and declared by the Church. Now, the fact that Bellarmine agreed with Suarez is evident from what he wrote in his discussion on how a heretical Pope loses his office. He listed five opinions. The Fourth Opinion was that of Cajetan. The Fifth Opinion is the one Bellarmine himself defends. These are the two opinions that the Sedevacantists always quote. 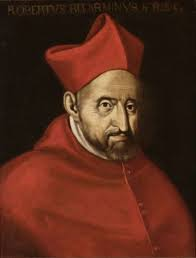 But if you read the Second and Third Opinion (which are very short, yet the Sedes never translated and posted them on their websites), it is evident that Bellarmine held the same opinion as Suarez – namely, that the ipso facto fall from office follows the Church’s judgment. It does not occur before the Church has established the crime. The first opinion Bellarmine discusses is that of Albert Pighius who taught that a Pope could not become a heretic. Bellarmine refers to this as a “pious opinion,” and said he could easily defend it, yet he also conceded that “the common opinion is the contrary” (which means the common opinion is that a Pope can become a heretic). Bellarmine then proceeded to discuss four additional opinions concerning how (or if) a heretical Pope could lose his office. The second opinion is that the Pope, in the very instant in which he falls into heresy, even if it is only interior, is outside the Church and deposed by God, for which reason he can be judged by the Church. That is, he is declared deposed by divine law, and deposed de facto, if he still refused to yield. This is of John de Turrecremata, but it is not proven to me. For jurisdiction is certainly given to the Pontiff by God, but with the agreement of men [those who elect him], as is obvious; because this man, who beforehand was not Pope, has from men that he would begin to be Pope, therefore, he is not removed by God [he is not deposed by God] unless it is through men. But a secret heretic cannot be judged by men, nor would such wish to relinquish that power by his own will. Add, that the foundation of this opinion is that secret heretics are outside the Church, which is false, and we will amply demonstrate this in our tract de Ecclesia, bk 1. If you notice, the above explanation of Bellarmine is very similar to what Suarez said above, namely, just as God does not make a man Pope without the judgment of men (who elect him), neither will Christ depose a Pope “unless it is through men” (who judge him), which is obviously referring to the proper authorities, just as Christ does not make a man Pope unless he is elected by the proper authorities. The Third opinion is on another extreme [just like the second], that the Pope is not and cannot be deposed either by secret or manifest heresy. Turrecremata in the aforementioned citation relates and refutes this opinion, and rightly so, for it is exceedingly improbable. Firstly, because that a heretical Pope can be judged is expressly held in the Canon, Si Papa, dist. 40, and with Innocent. And what is more, in the Fourth Council of Constantinople, Act 7, the acts of the Roman Council under Hadrian are recited, and in those it was contained that Pope Honorius appeared to be legally anathematized, because he had been convicted of heresy, the only reason where it is lawful for inferiors [the Church] to judge superiors [the pope]. Here the fact must be remarked upon that, although it is probable that Honorius was not a heretic… we still cannot deny that Hadrian, with the Roman Council, and the whole Eighth Synod sensed that in the case of heresy, a Roman Pontiff can be judged. Add, that it would be the most miserable condition of the Church, if she should be compelled to recognize a wolf, manifestly prowling, for a shepherd. So notice, Bellarmine defends the notion that a Pope can be deposed (which must follow the judgment of men) by arguing that a Pope can be judged in the case of heresy. And he cites canon law (Si Papa) and the teaching of Pope Innocent III to defend his position. And both Si Papa and Innocent III do teach that in the case of heresy a Pope can be judged by the Church. And also notice that in such a case it is inferiors judging a superior, which shows that the Pope did not already lose his office (which is how the Sedes “interpret” Bellarmine's teaching). If the Pope had already been “deposed by God” before being judged by men, he would no longer be their superior. Bellarmine’s position, with respect to the Church judging the Pope, could not be any clearer. The Pope, as “superior,” is being judged as Pope, by “inferiors” in the case of heresy. I [Fr. Kramer] stated unequivocally in the first segment of my Reply that according to Bellarmine, a pope who is in fact a manifest heretic CEASES to be a pope, a Christian and a member of the Church; and due to the FACT of manifest heresy, he CEASES to hold office. The loss of office takes place, as Bellarmine himself states, IPSO FACTO, and not by or after any judgment is made by private individuals or by Church officials. On this point Salza & Siscoe have deliberately falsified my explanation. As I explained, according to Bellarmine, it is precisely because a manifestly heretical pope, by his heresy ipso facto loses office, may be judged and punished by the Church. While he holds office, the pope can be judged by no one; but after the loss of office which takes place ipso facto and without any judgment or declaration, then the heretical former pope may be judged and punished by the Church. This was my clearly expressed meaning, and it is the explicitly and unequivocally stated opinion of St. Robert Bellarmine in no. 5; yet with extreme malice, Salza & Siscoe state and falsely attribute to me the opinion that a pope still in office may be judged! What malicious and bold faced liars! Fr. Kramer and his Sedecacantist colleagues believe that because Bellarmine said the loss of office occurs “ipso facto,” “after showing himself manifestly obstinate” and “before any excommunication or judicial sentence” it must mean before the Church herself judges him to be a heretic. But this is not what Bellarmine said. As we saw above, Bellarmine clearly stated that God will not remove a Pope “unless it is through men,” (just as God will not make a man Pope accept through the agreement of men), and then proceeded to defend the position that, in the case of heresy, the Church can judge a Pope – not a “former Pope” as Fr. Kramer claims. What Bellarmine means is that the ipso facto loss of office occurs when the Church judges him to be a heretic, and before the vitandus declaration. This is evident from the fact that he is attempting to refute Cajetan’s opinion, which maintains that the fall is not ipso facto after he is judged by the Church, but only follows the juridical sentence of the vitandus declaration (which, again, directly separates the Church from the Pope, not the Pope from the Church). The reason Kramer and the Sedes have misunderstood Bellarmine is because they have misunderstood Cajetan’s opinion, and therefore did not know what Bellarmine was trying to refute. And when Bellarmine said a former Pope can be “judged and punished by the Church,” he is referring to the punishment phase, which, as Cajetan himself concedes, must follow the loss of office, since the Church cannot punish a Pope. But this does not mean the fall from office precedes the Church herself judging that the Pope is guilty of the crime of heresy. We can see this from the following quotation from Suarez, which provides the sequence of events. Therefore on deposing a heretical Pope, the Church would not act as superior to him, but juridically and by the consent of Christ she would declare him a heretic and therefore unworthy of Pontifical honors; he would then ipso facto and immediately be deposed by Christ, and for this reason he can be judged and punished by the Church”. It cannot be held that the Pope, by the very fact of being a heretic, would cease to be pope antecedently to [before] a declaration of the Church. (…) What is truly a matter of debate is whether the Pope, after he is declared by the Church to be a heretic, is deposed ipso facto by Christ the Lord, or if the Church ought to depose him. In any case, as long as the Church has not issued a juridical declaration, he must always be considered the Pope. What John of St. Thomas said “cannot be held” is the Second Opinion that Bellarmine himself refuted, and which is also the opinion of the Sedevacantists, namely, that a heretic Pope will fall from office under Divine law before a judgment by the Church. Notice that John of St. Thomas says the real “debate” is not whether the Church first judges the Pope for heresy, but rather whether this necessary judgment must be followed by an additional act of the Church, or whether it results in the ipso facto loss of office. We say exactly the same thing in True or False Pope? By explaining that the real “debate” concerns what comes “after he [the Pope] is declared by the Church to be a heretic” proves without question that John of St. Thomas interprets Bellarmine and Suarez the same way we do: That the ipso facto fall occurs after the Pope is declared a heretic by the Church, and not before the Church’s judgment. The sole issue of the debate is whether, after the Church’s judgment of heresy, the Pope would fall from office ipso facto (“by the fact” of the heresy established by the Church), or whether the additional juridical act of the Church (vitandus declaration which separates the Church from the Pope) would be required. There you have it. Our interpretation of Bellarmine, which we explain in detail in True or False Pope? (the book Fr. Kramer has not read but chose to publicly criticize anyway), is confirmed by a contemporary of Bellarmine and Suarez and one of the greatest Thomists the Church has ever produced. John of St. Thomas not only thoroughly knew Bellarmine and Suarez’s opinion, but he also knew Cajetan’s opinion, and defended it against Bellarmine’s (and Suarez’s) objections. The reason John of St. Thomas correctly understood what Bellarmine was arguing is precisely because he understood the position of Cajetan to which Bellarmine objected. And the reason Fr. Kramer and the Sedevacantists have misunderstood Bellarmine is precisely because they do not understand Cajetan’s position. This misunderstanding of the Sedevacantists, now embraced by Fr. Paul Kramer, is no doubt the result of reading only snippets of Bellarmine’s position on Sedevacantist websites and not engaging in real scholarship. And this error has no doubt been facilitated by their handlers (e.g., Fr. 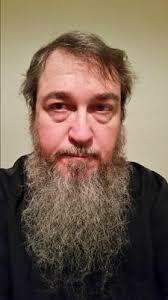 Anthony Cekada, NovusOrdoWatch’s Mario Derksen) who have all conveniently “forgot” to translate Bellarmine’s refutation of the Second and Third Opinions. But this omission was merely an honest oversight on the part of Cekada and Derksen, right? Would someone with Fr. Cekada’s glowing reputation and Mario Derksen’s brain power really refrain from translating these two short paragraphs simply because they completely refute the Sedevacantists’ erroneous interpretation of their primary authority, St. Robert Bellarmine? We will let our readers be the judge of that. Tractatus De Fide, Disp. 10, Sect. 6, n. 10, p. 318. John of St. Thomas, Cursus Theologici Ii-Ii, On The Authority Of The Supreme Pontiff, Disp. 2, Art. 3. Note that some recent theologians have maintained that the fall from the Pontificate would occur after the Church judged the crime (after the Pope clearly manifested his heresy to the proper authorities), but technically before the declaratory sentence was issued. This is a minor technical point that has no effect whatsoever from the point of view of the laity, since the Church herself must judge the matter before Christ will depose the Pope. Thank you so much! Good article and refutation of the heresies of these Schismatics. Great article. Thank you for sharing opinions in nice way. I learn new thing from this post.